Consider your home’s air ducts to be the respiratory system of your home that can get congested. Things like dust, insects, mold and even rodents find your air ducts to be the perfect place to hide. 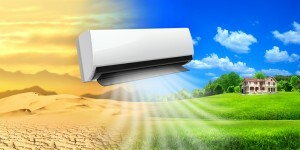 Cleaning your air ducts regularly will improve the air quality in your home. Ducts contaminated with dust and pollen can be bothersome to those that suffer from allergies and asthma. If these come into contact with moisture, it’s likely there will be mold growth. Poor indoor air quality can also lead to migraine headaches and flu like symptoms. It’s important to prevent your ducts from becoming wet, so be sure to repair any leaks right away. Also, make sure any ducts in non-air-conditioned spaces, such as the attic or crawl space, are completely sealed. Maintaining the quality of your home’s indoor air begins with maintaining the cleanliness of your air ducts. Routine cleaning will help your system to run more effectively and more efficiently. You will also find that by removing debris, your clean system is less likely to experience any issues. Things like household pets, smokers in the household, recent home renovations, or previous damages to your system take a large toll on your air quality. Even if these pollutants aren’t visible, it’s important to keep your ducts in a row. For questions or more information, contact American Duct Cleaning today!